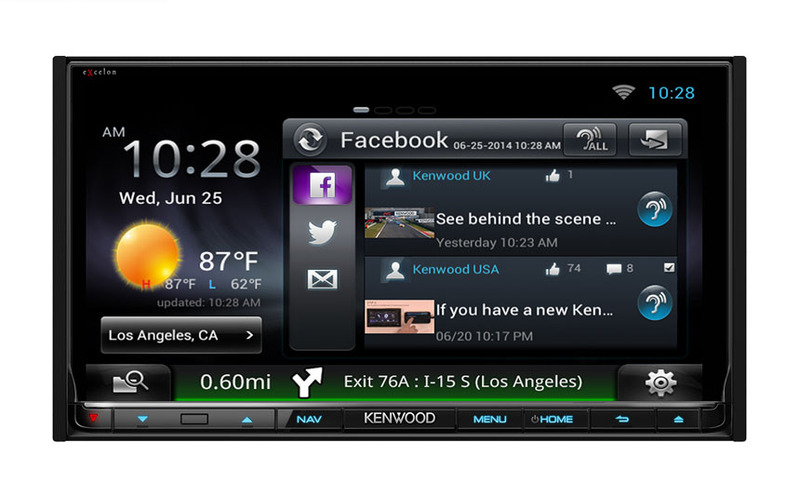 Kenwood USA brings innovative new car multimedia, navigation and marine audio products to consumers. In 1981, Kenwood built the first audio/video amplifier for home theater use. Many consumers were first introduced to Kenwood in the early 1980s with their innovative anti-theft car cassette deck that could be slid out of the dash; this was an industry first. Kenwood was the first with an automatic broadcast sensor system and automatic noise reduction; the first with 24 radio station presets; and the first polypropylene speaker cones. Over the years, Kenwood engineers have invented dozens of new technologies that pave the way for a better in-vehicle electronics experience in nearly every area of mobile audio, video and navigation. The Kenwood brand encompasses all segments of in-vehicle entertainment products including in-dash stereo receivers, multimedia radios with in-dash navigation systems, replacement speakers, component speakers, subwoofers, amplifiers and a full line of marine audio products. Kenwood makes firmware updates on their multimedia and navigation radios readily available so that your in-dash electronics keep pace with your mobile devices and your changing lifestyle technology. As a full line brand, Kenwood has all of your in-vehicle electronics needs covered. Kenwood’s eXcelon line of electronics is a top-tier brand within the brand. Kenwood eXcelon products incorporate the latest technologies and deliver the highest sonic performance. From advanced audio tuning capabilities, crossover and equalizer systems, high voltage preamp audio outputs, connectivity to multimedia sources (iPhone, Android, Bluetooth, USB, DVD, etc.) and speakers manufactured with advanced composite materials, eXcelon represents the very best product available and are sold only through select authorized retailers like Precision Audio. eXcelon products include in-dash multimedia radios with DVD players, Garmin navigation, USB ports and HDMI high resolution video connections, powerful amplifiers and incredible sounding speakers. Connect an iPod, a mobile phone via Bluetooth or MHL, listen to HD Radio or SiriusXM Satellite Radio, stream audio from Pandora or iHeartRadio using Kenwood eXcelon top-of-the-line navigation and multimedia radios as the centerpiece of your car electronics experience. Build a fantastic sounding audio system with Kenwood amplifiers, component speakers and slim-mount subwoofers to complete the experience. Kenwood eXcelon amplifiers feature compact and efficient digital power with onboard signal management. eXcelon component speakers have a advanced hybrid pulp cone woofers with flexible mounting patterns to fit most cars on the road. The eXcelon soft dome tweeters convey all the high frequency detail of a live performance. When installed by a Kenwood eXcelon authorized retailer, the eXcelon products carry an industry-leading two year warranty. Kenwood speakers also have the added benefit of an over-the-counter exchange within their warranty period. Today Kenwood USA is a market leader in developing consumer-focused in-vehicle electronics and continues to operate as one of the largest manufacturers such products equipment in the world. 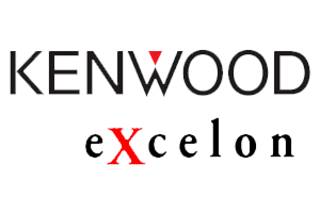 It is a central Kenwood belief to listen to the market and develop exacting products that address customers’ needs at the highest possible value.